Mazda 2 is Zoom-Zoom in its most concentrated form and Mazda’s first entry into the sub-compact market in North America. 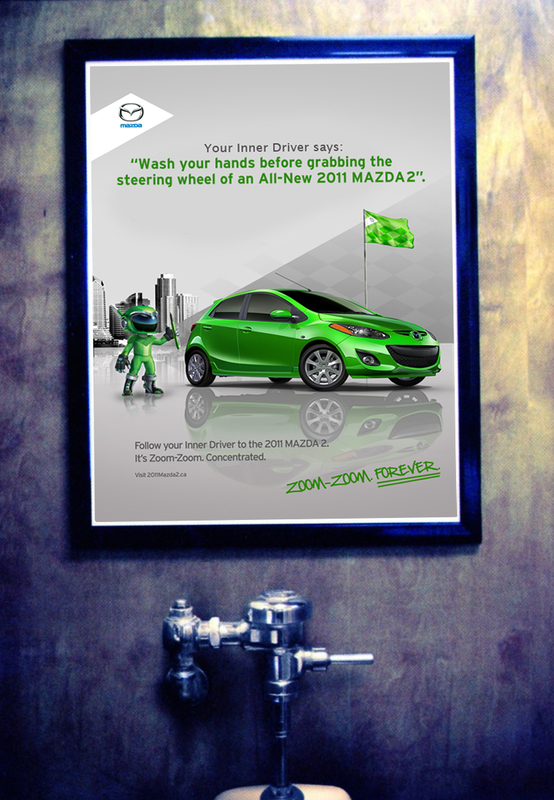 To launch the Mazda 2 in Canada we went all-digital to help socialize the brand to our Gen Y target. We appealed to their passion for gaming and social media with a Facebook game called Driverville, complete with their own Drivertar. All supported by cinema and a variety of ambient mixed media.